McElheney Locksmiths, Inc. can take care of all of your access control needs. We offer simple stand-alone devices as well as complex access control systems. 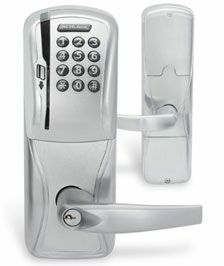 Our access devices include card readers, keypads, RF controls and magnetic / electric locks. Continuing education is a priority and our technicians are constantly learning about new and emerging electronic technology. Call us today at 419.244.5851 to discuss your facility entry needs.